Another beautiful cutthroat from Fish Creek. 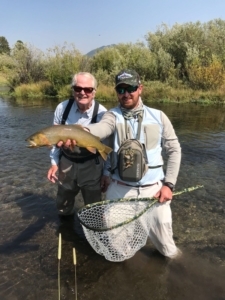 We’ve had lots of warm days this summer in Jackson Hole, and grasshopper fishing is in full swing. The mornings have seen consistent PMD and caddis hatches. As the day heats up and the hoppers start buzzing, it’s been good to switch to foam. There have been a variety of patterns working, so don’t be afraid to switch it up. The heat of the day can cause a bit of a lull in the fishing so get out early! https://grandfishing.com/wp-content/uploads/2018/08/netfish.jpg 576 1024 Robert Strobel https://grandfishing.com/wp-content/uploads/2018/07/GrandFishingAdventures3-1-300x117.png Robert Strobel2018-08-21 16:08:412018-08-21 16:08:41August fishing is hot, hot, hot! The Snake is clear (finally) and fishing! 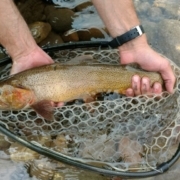 We have been seeing bigger fish as the flows stabilize and trout settle into their summer homes. The chubby chernobyl has been eaten consistently, but the color they prefer depends on the day and the stretch…try out purple, black and tan, yellow…don’t be afraid to throw a dropper under that foam! There have been some great caddis hatches lately and a size 12-16 elk hair is the hot ticket if you see bugs in the air. 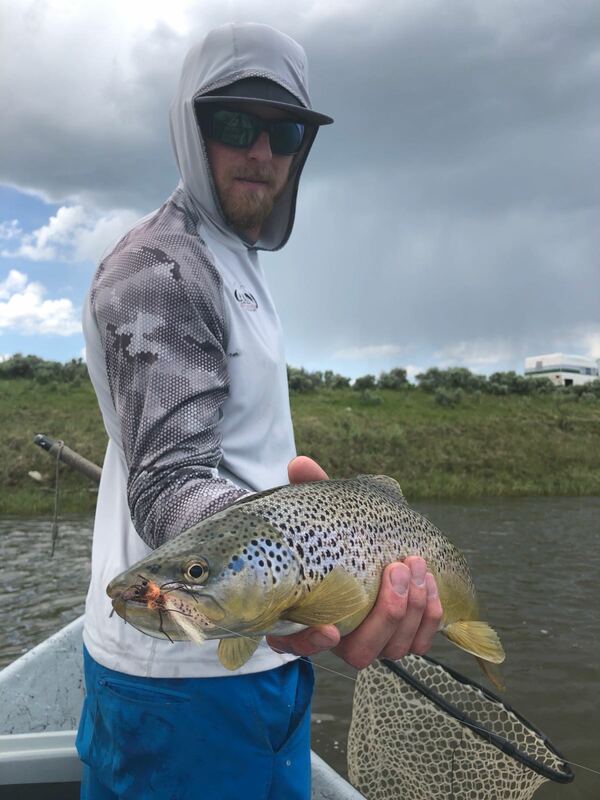 Mayflies have also been bringing good fish to the surface! The spring creeks continue to fish well. 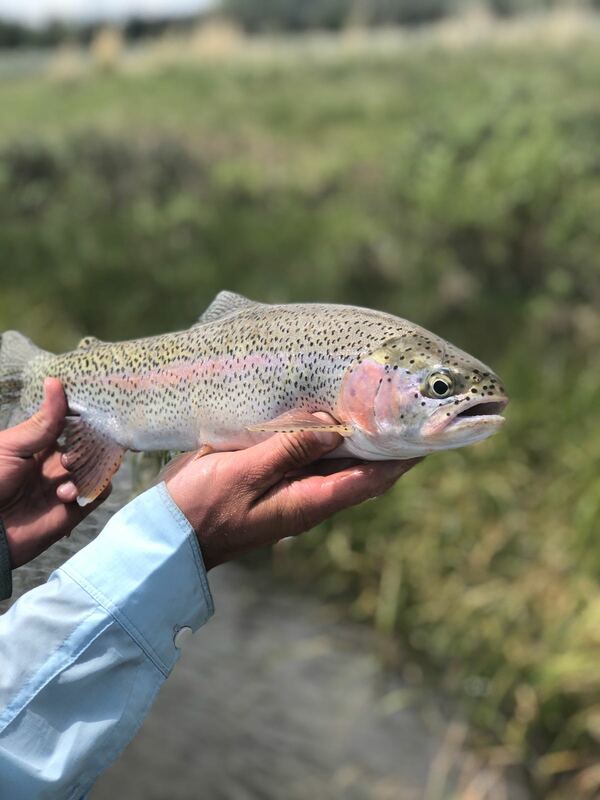 The trout have been eating PMDs, drakes, and terrestrials. 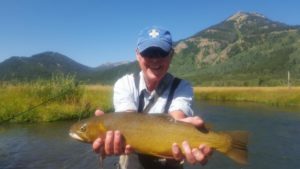 If you are looking for a nice walk with great fish, look no further than our private water. The water temps on the Green have been rising, which means less oxygen and more stress for the fish. 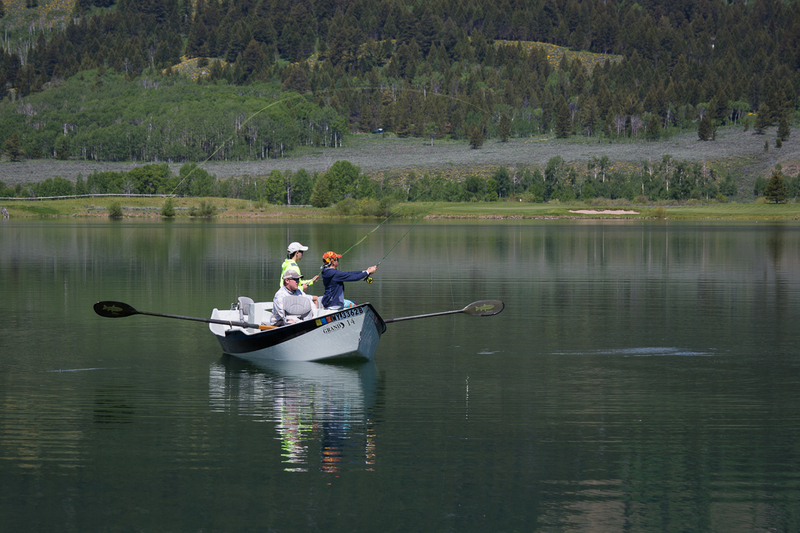 If you are determined to fish it, go early in the morning and hop off early to keep the fish healthy. 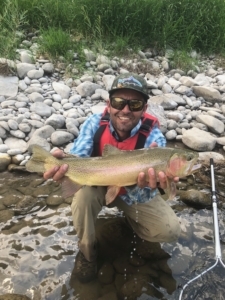 A nice rainbow from the Green. 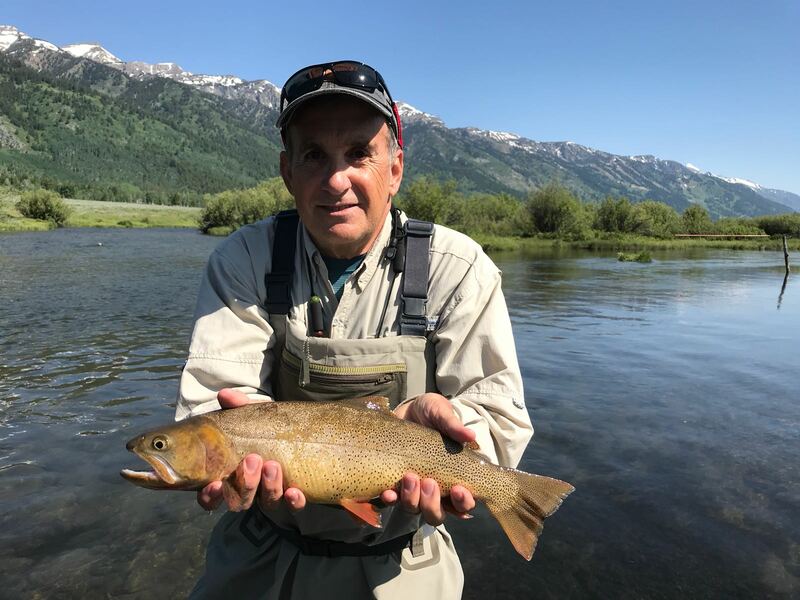 We are still in high water season in Jackson Hole, but the fishing is starting to shape up as the water drops. The Green has been a go-to spot for floating. Our guides have been catching fish on dries, nymphs and streamers. A few salmonflies have been spotted out. The fish haven’t completely keyed into them yet, but they should soon with more bugs hatching. Salmon fly season on the Green. The spring creeks on Snake River Ranch are also clearing up. 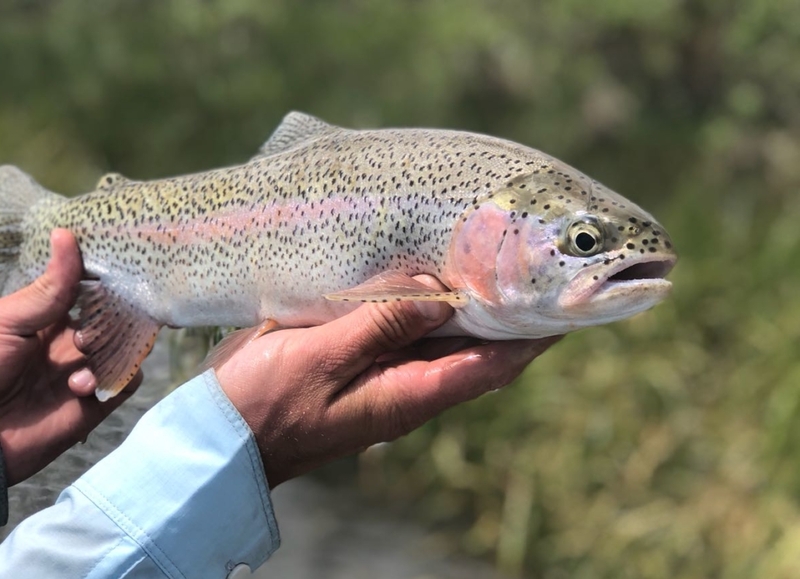 The fish haven’t been giving it up too easily, but with a little work there are some beautiful trout to be had. Like the Green, the trout have been eating a variety of dries, nymphs and streamers. Wade fishing on our private water is beautiful this time of year! 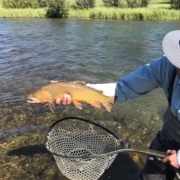 Cutthroat trout caught on Fish Creek. Sunny, beautiful day on the Green. The grey drake hatch is still going full force on the Upper Green. 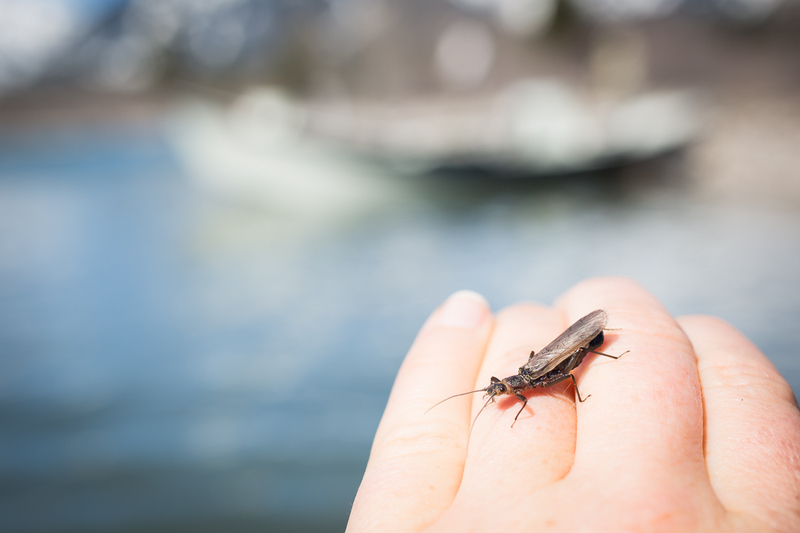 Days are warming up quickly so head to the river early to catch the hatch. There are also some fish eating golden stones more consistently (foam!) and a variety of other dries, think caddis, yellow sallies, and pmds. A dry with a worm dropper combo is also a good bet. The Green bumped up a bit last week, so focus on slower water. The Snake is still high, with water levels about twice the normal flow for this time of year. That said, the water is starting to green up and it seems like good fishing is right around the corner. If you can’t wait for things to clear up and have to hit the Snake now, don’t do it without a pocket full of Pat’s rubber legs and some pink worms. 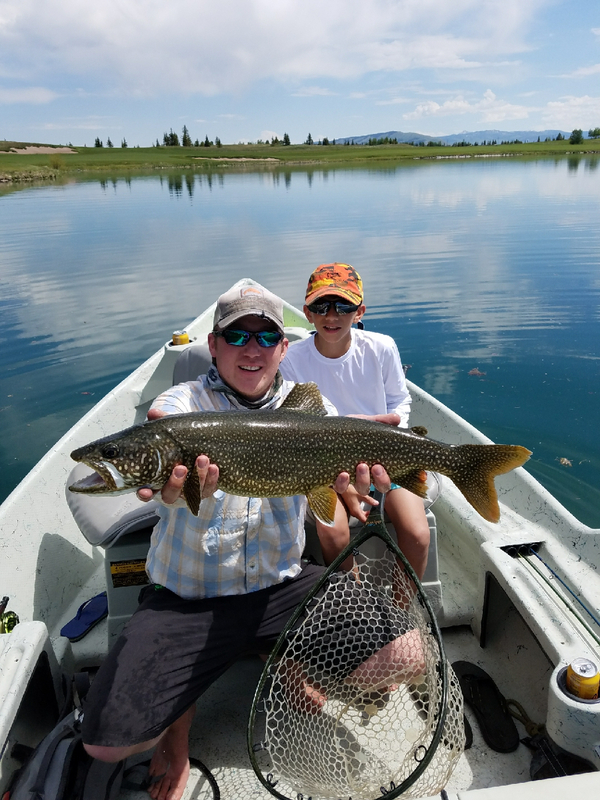 A huge lake trout caught on Cottonwood Lake. 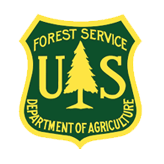 The snow is coming down from the mountains and our regional waterways are seeing some of the highest water levels in years. 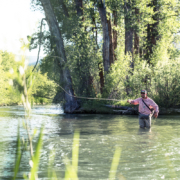 It’s a great time to fish a lake or spring creek while the rivers get their annual refresh. 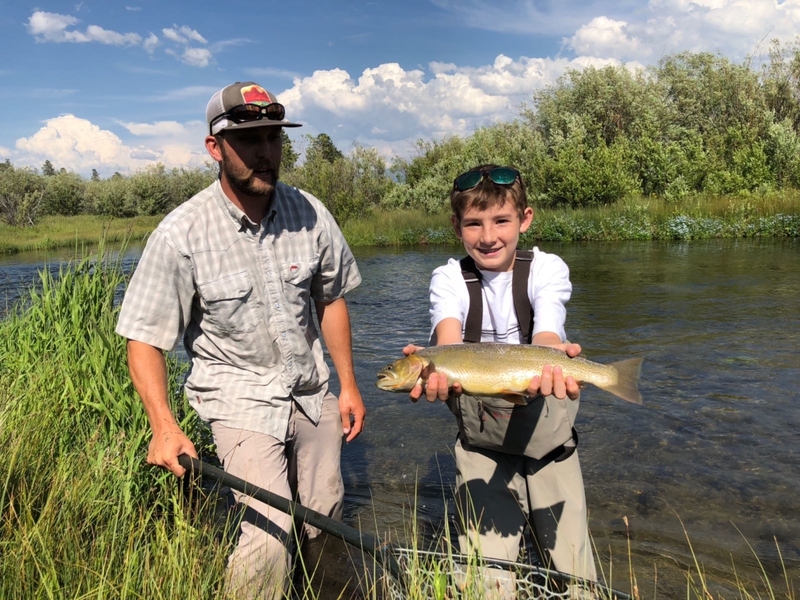 Cottonwood Lake has been fishing really well, with cutthroat, lake, and brook trout eating streamers, dries and nymphs. Chironomids, leeches, damselflies, and callibaetis are all getting fish to the boat. The water on the lake is clear and the views can’t be beat! Sunny days and skwala hatches on the Snake. After a long and snowy winter, it is Spring in the Tetons! 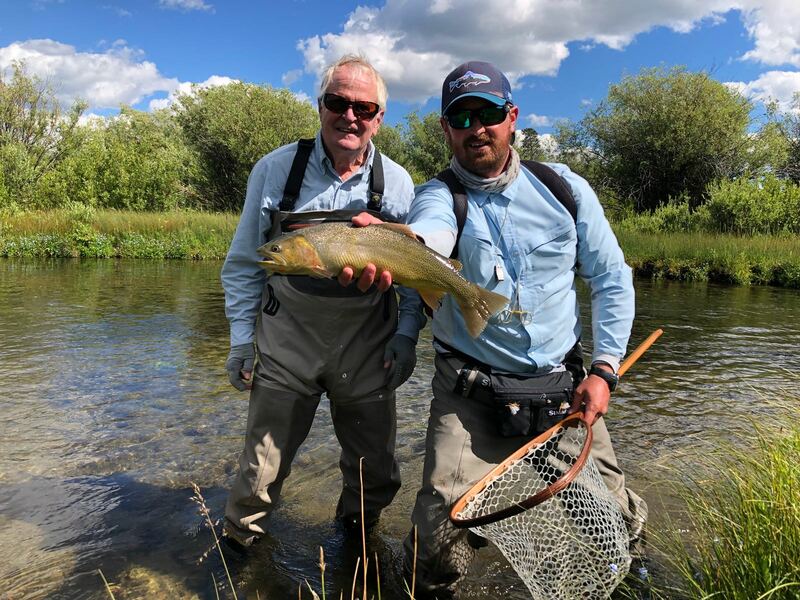 Sunny days have brought out dry flies, with skwala at the top of the menu. Starting the morning out with a dry-dropper rig will get you on fish before the big bugs hit the water. Fish are eating on top as the day warms up, so throw on a brown, black, or purple chubby for afternoon fishing. Warm weather bringing out the skwala dries. 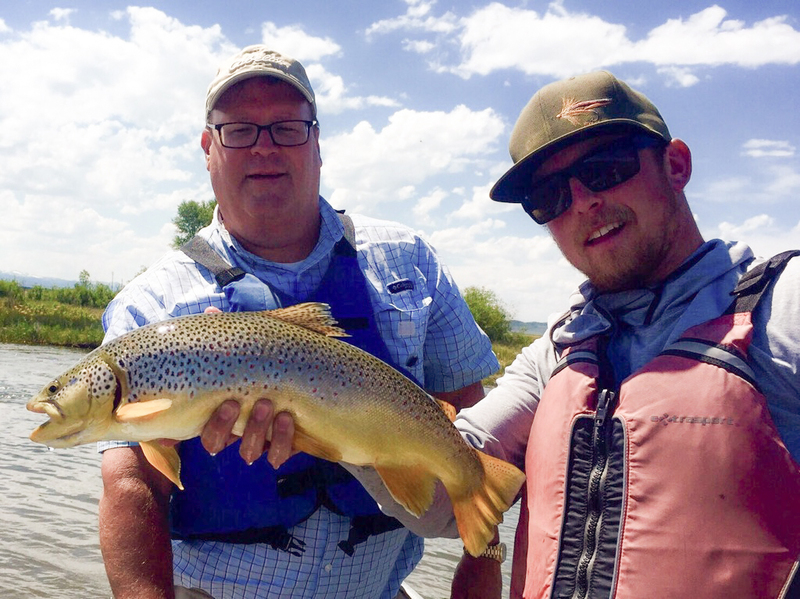 Streamers have been moving fish throughout the day, with the best eats on brown/olive/tan sculpin patterns. 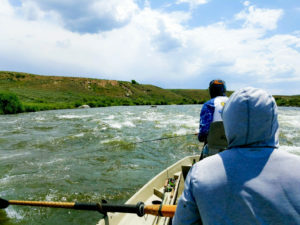 The river is moving well and the water temps are still pretty cool, so look to the slow and soft riffles to hold fish. 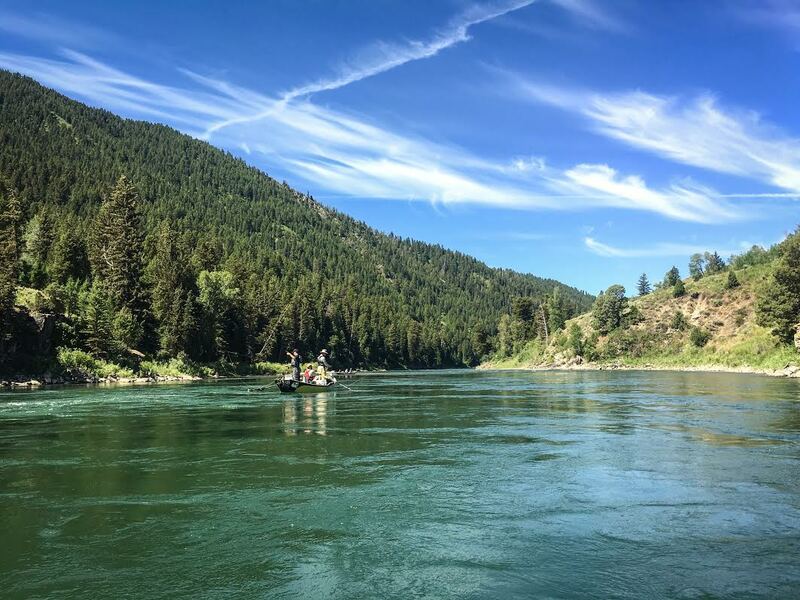 Water clarity has been good, but we could see some changes as the week continues to warm and some of our record-breaking snowpack hits the Snake River drainage. Get out soon and enjoy the fishing! 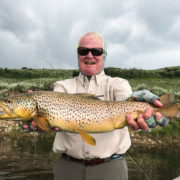 https://grandfishing.com/wp-content/uploads/2017/05/AJimmerson_Fish-1.jpg 800 1200 Amy Jimmerson https://grandfishing.com/wp-content/uploads/2018/07/GrandFishingAdventures3-1-300x117.png Amy Jimmerson2017-05-04 22:57:572018-10-15 18:42:47Sunny days and skwala hatches on the Snake. It is the peak of the summer season here in Jackson, and cooler temperatures have elevated the local fishing. While the night temperatures have significantly cooled, our days on the rivers have consisted of blue skies and fresh mountain air. In the morning, general mayfly imitations have been working well including patterns like Parachute Adams and Film Critics. As the temperatures rise, you’ll find terrestrials on the banks. 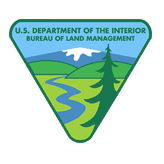 Local ranchers have recently cut the hay and stopped irrigating the fields, which forces the terrestrials such as hoppers to the banks of the river. Patterns such as the Morrish Hopper and Galloup’s Ant Acid are producing at high rates. 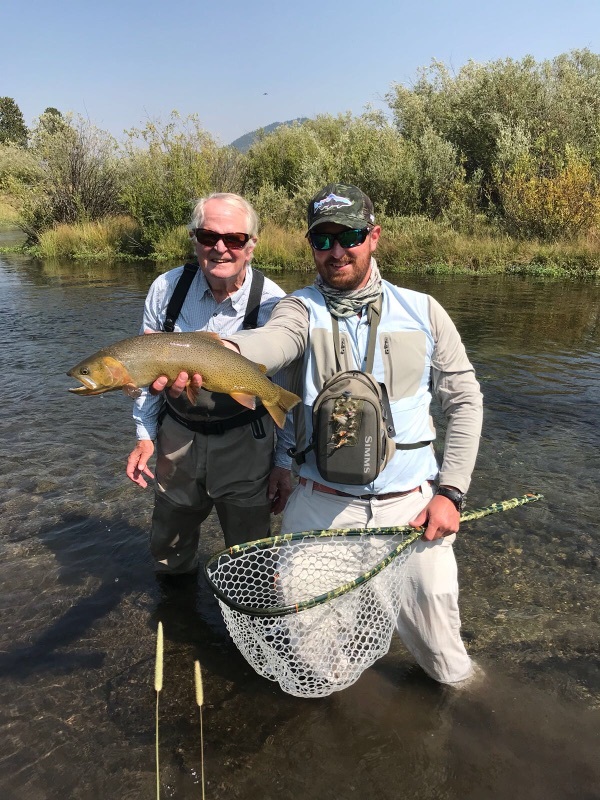 Stop by our fly shop in Teton Village to look over our assortment of fly fishing gear and reserve your trip with GFA guides today. 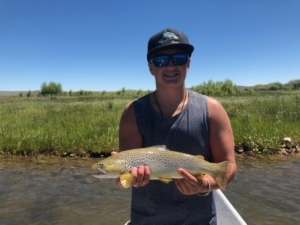 Check out our guide in training, Ethan, on a fun day out fishing hoppers! 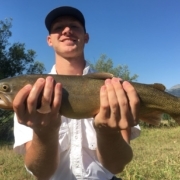 Here at Grand Fishing Adventures, we offer both float and wade fishing trips. 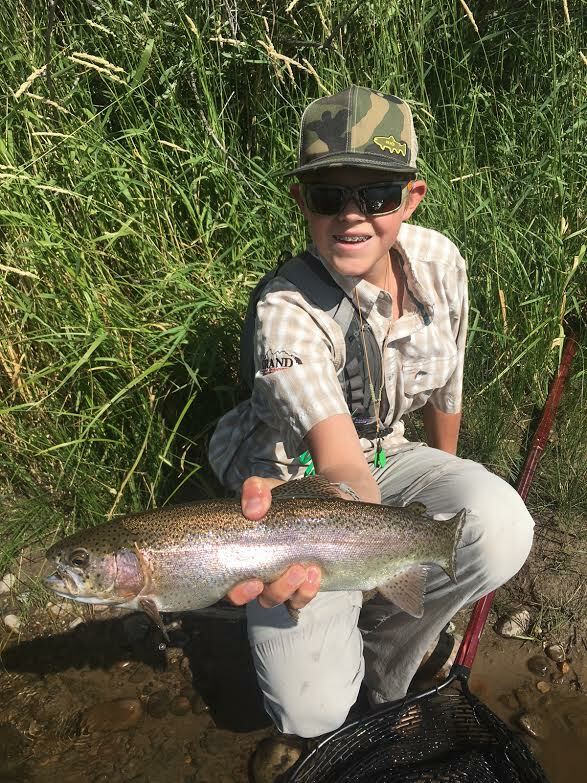 While there is no better place to be than floating the Snake River in August, the fishing on our private spring creeks has been phenomenal as well. 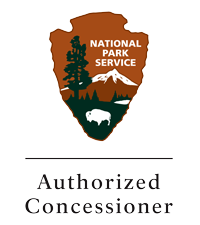 GFA has exclusive access to private water at the base of the Tetons. 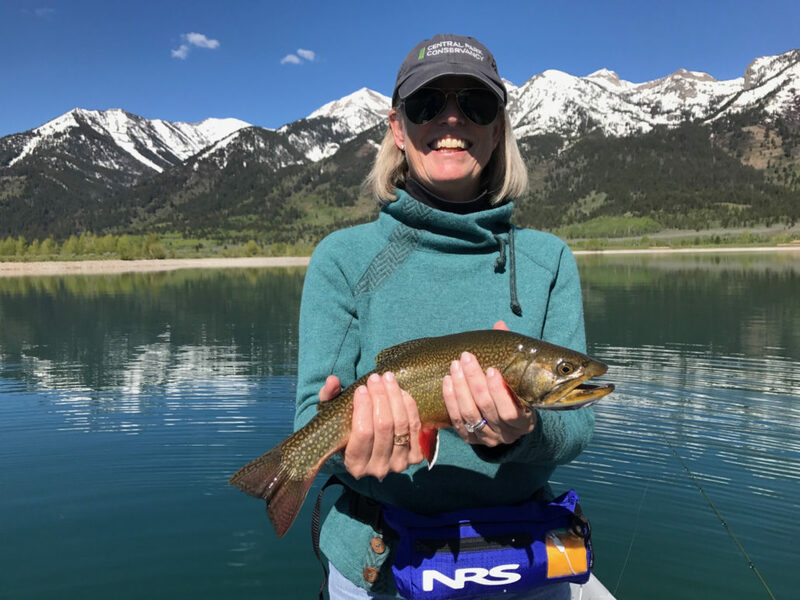 Small dry flies such as parachute mahoganies were working well in the morning, and grasshoppers produced some great action in the afternoon. Bill (pictured below) proves it!